I've now finished my first year at University (where did the time go?! ), handed in my last assignment and am back in Bristol. Hello summer! I'm only in Bristol for a few days before I head to London for my first internship which is extremely exciting and I cannot wait for the whole experience to begin. 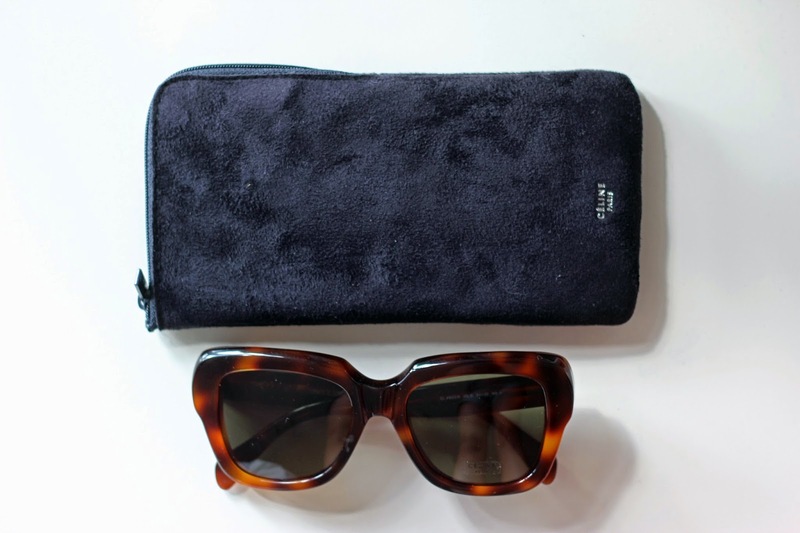 I had to share with you my new purchase from Céline! This wasn't a planned purchase, it was much more of a spontaneous one. 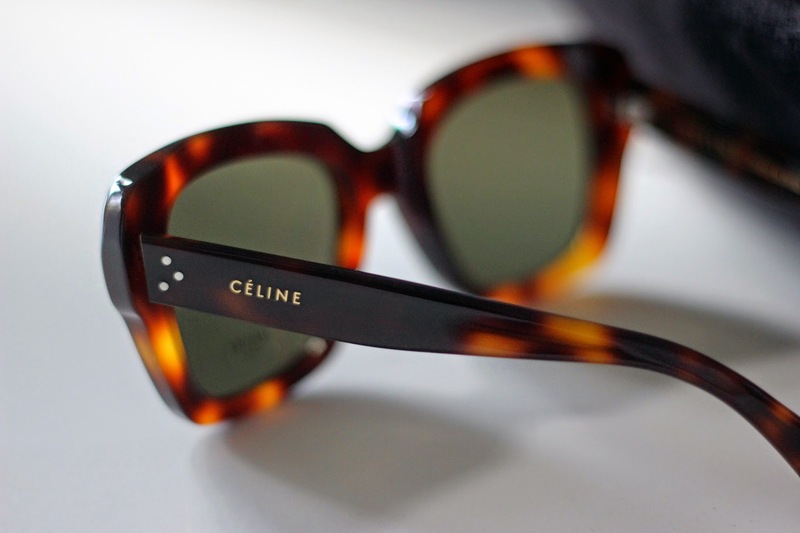 As soon as I saw the phrase 'Céline Sunglasses' appear on an email from Secret Sales, I was sold. How often do you ever get the chance to snap up a discounted Céline item? Especially online. The model is the Cocoon and the shade, Havana. 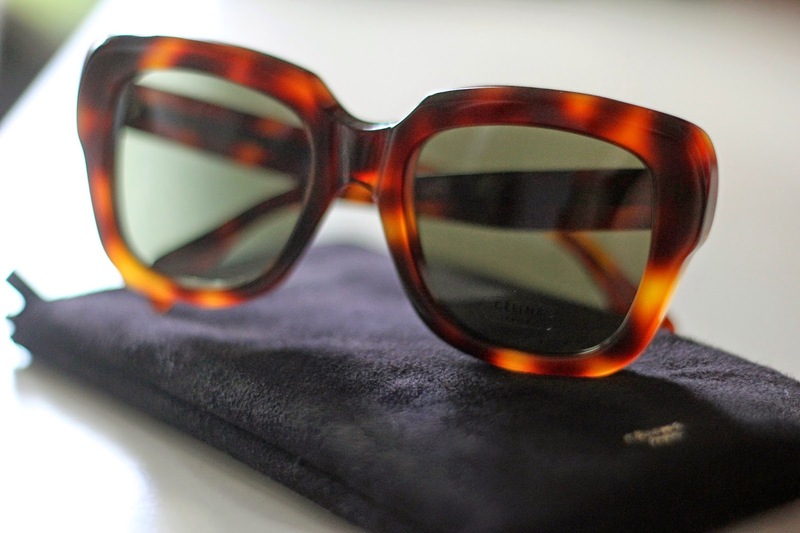 I'm so pleased I went for the tortoiseshell in the end as my Ray-Bans are jet black, plus, who needs two pairs of black sunnies when you can have one in a slightly more elegant tortoiseshell. I need to get them tightened as they are a little loose, however, you will be seeing me wearing them in a few upcoming outfit posts soon, i'm sure! P.S. Say hello to my pretty new layout thanks to Pipdig, Maisie Ivy was in need of a refresh!